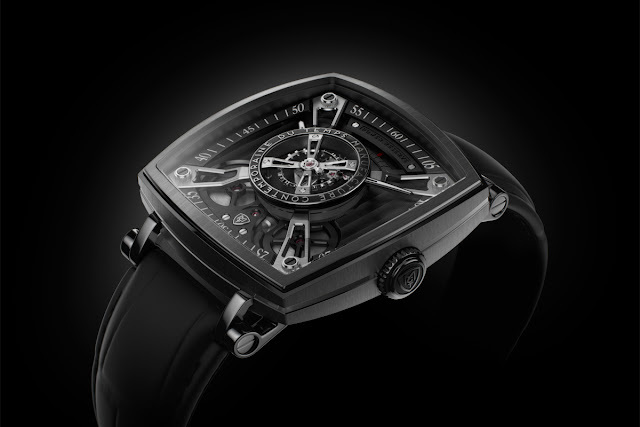 After the presentation of the Sequential Two S200 featuring the signature prism display for the first time in a round case, in 2015 Manufacture Contemporaine du Temps (MCT) is back to the square case with the Frequential One F110, characterised by the exposed balance wheel as an invitation to fully enjoy the fascination of mechanical watchmaking. 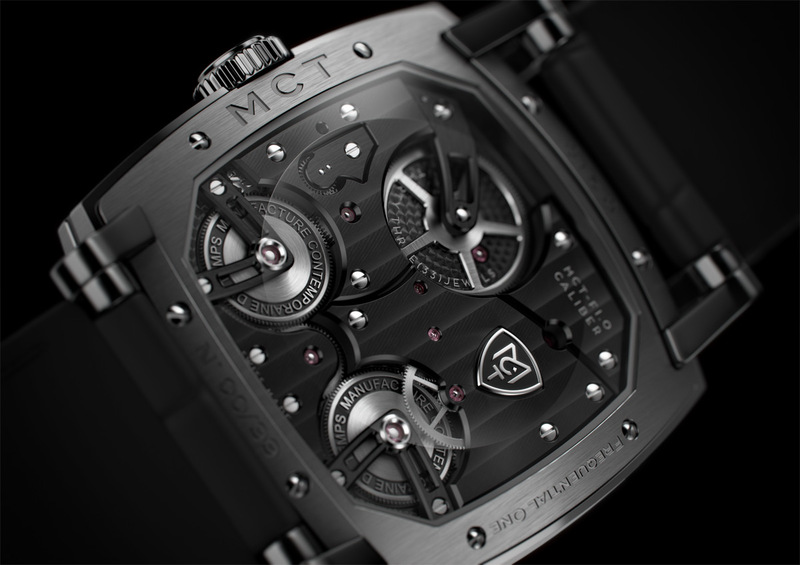 The key elements of the movement are positioned around the balance wheel on different levels creating a nice depth effect, accentuated by the different type of surface finishes: brushed, polished, stippled, bead-blasted, or Côtes de Genève. The central suspended balance wheel is here combined to a traditional hours-and-minutes display with white indexes and numerals. 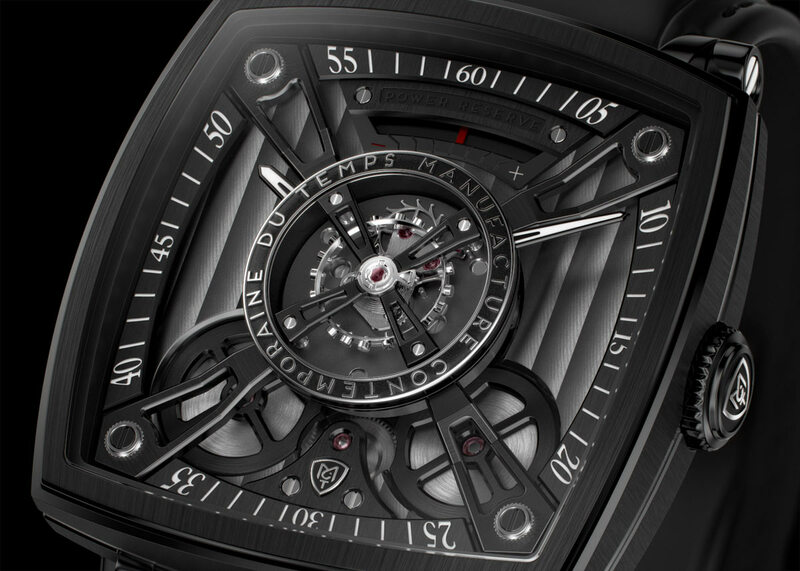 At 12 o'clock we find a power reserve indicator. The case of the Frequential One F110 - composed of 45 parts - maintains a classic cushion form with a 42 mm x 42 mm size and it is crafted from titanium with DLC treatment. The height is 14.00 mm in centre and 6.9 mm on the edges. The horns are slightly rounded on the top to better harmonise with the case. 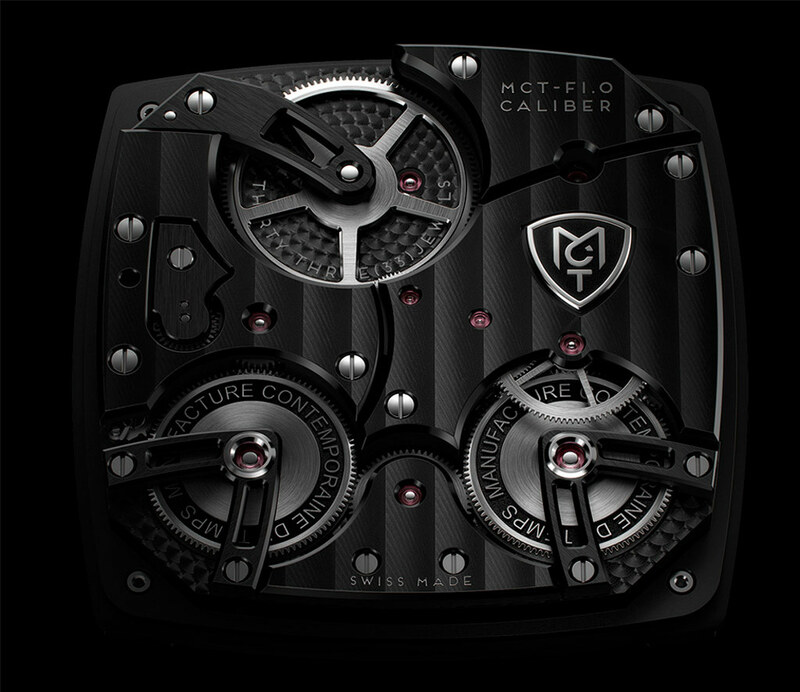 back of the MCT-F1.0 hand-wound movement, developed and assembled by MCT, with its double barrels, hand-chamfered bridges and Côtes de Genève decoration. 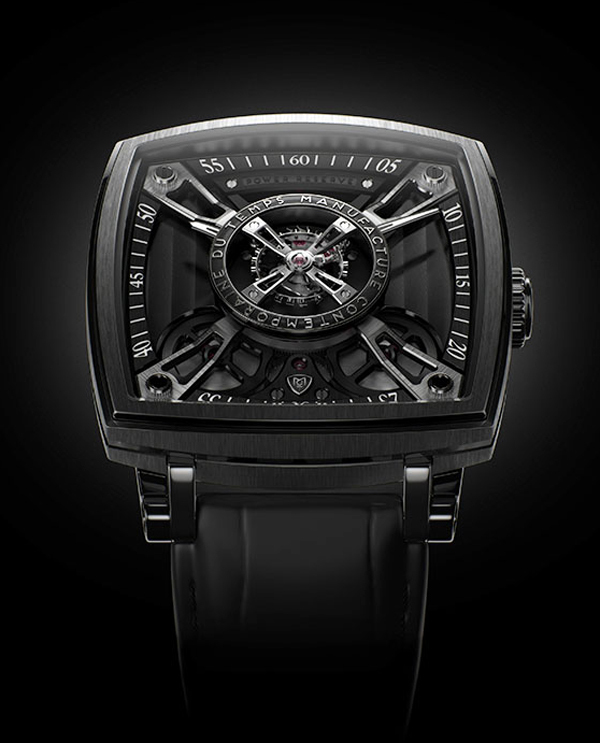 The movement beats at 18,000 vibrations per hour (2.5Hz). Manufacture Contemporaine du Temps - Frequential One F110. In 2015 Manufacture Contemporaine du Temps (MCT) is back to the square case with the Frequential One F110, characterised by the exposed balance wheel as an invitation to fully enjoy the fascination of mechanical watchmaking. The MCT Frequential One F110 is available in two versions (ref. SQ42 F110 DG01 and the all-black ref. 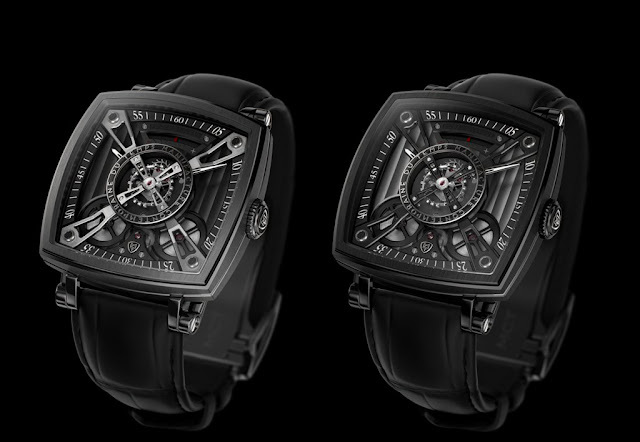 SQ42 F110 AB01) with a price of Swiss Francs 44,500.